Who likes Panda Express!! YAY! How about lunch or dinner there on 5/22 to benefit BASC? 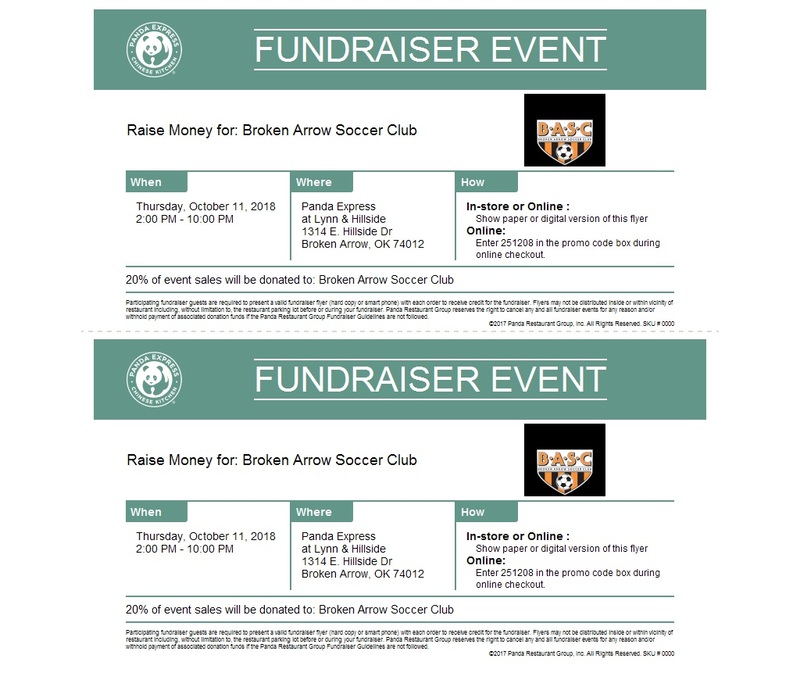 Just show them a picture of the flyer on your phone (CLICK HERE) or print it from our website to be sure we get the credit at the BA restaurant location. YUMMY!! See you Thursday, October 11th for our BASC Fundraiser!